After a disappointing weekend on Feb. 2-3 against the Mount Royal University Cougars, Manitoba got back on track. The men won 3-0 on Friday, and followed that up with a 3-1 win on Saturday. Fifth-year left side hitter Adam DeJonckheere combined for 26 kills over the weekend, tying him for second all time in Canada West career kills with 1,369. DeJonckheere has a chance to take sole possession of second all time next weekend in his final weekend at home as a Bison. Manitoba now holds a 9-13 record and sit in ninth place in the Canada West. 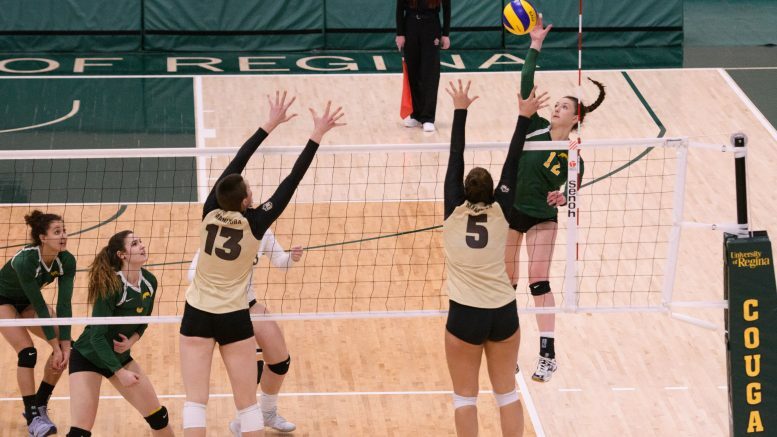 The playoffs are still in reach, as the Bisons are in a battle for the eighth and final playoff spot with the University of Saskatchewan heading into the last weekend of the regular season. The women’s team, did not lose a single set all weekend, winning 3-0 on both Friday and Saturday. Second-year right side hitter Kearley Abbott combined for 21 kills on the weekend and averages a team best 3.37 kills per set. Libero Cassie Bujan had 24 digs over the weekend, including a ridiculous 18 on Friday. Bujan has the second most digs in the Canada West with 369. The women moved their record back to .500 at 11-11 and sit in seventh in the Canada West and has potential to move up in the standings next weekend. The Bison volleyball teams wrap up the regular season against the UBC Okanagan Heat on Feb. 16-17 at Investors Group Athletic Centre.